The early results of the 2015 TMS Family Travel Summit have already generated 57 million positive impressions for the destination via social media, positioning #TMSRivieraNayarit on Twitter’s trending topics at the conclusion of the opening day activities for the first time. 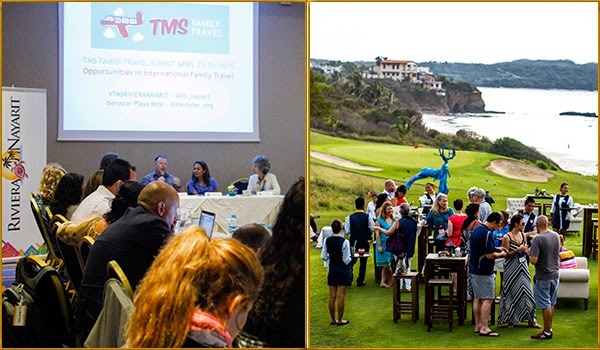 The destination’s Family Tourism attractions were placed on the world stage after the first TMS Family Travel Summit ever to be held outside the United States took place in the Riviera Nayarit this past April. Upon its conclusion, the brand and its services had already garnered over 57 million positive impressions on the web via the social media accounts worked by the hosts, speakers, sponsors, journalists and the Riviera Nayarit Convention and Visitors Bureau (CVB). Over 40 luminaries in different fields—all of them with thousands of followers on their social media accounts—posted about the destination’s attractions with a special focus on family travel. Top level executives from the Mexico Tourism Board as well as personalities such as Scott Eddy (@MrScottEddy), classified by Klout as the 8th most influential travel expert on social media, and Laura Begley Bloom, executive editor for Yahoo Travel, are just an example of the importance of the event participants—and their reach. The international newspapers that attended the event have already published articles on the destination, as the topic continues to be top of mind around the world. The event took place here thanks to the efforts of the Public Relations department of the Riviera Nayarit CVB, whose objective it is to maximize the destination’s resources and amplify its exposure; there is little doubt this goal was successfully reached with the 2015 Family Travel Summit.